BC Industry says high costs and log supply causing curtailments. Politicians point at Ottawa. Forestry’s bull-market ride could soon be over in BC due to high costs and a scarcity of logs. Local politicians and national Conservative leader Andrew Scheer suggest Liberal policies are also to blame. Elsewhere: a mass timber tower rises in Portland; the demise of Strongbuild is a set back for Australian tall wood; and mid-rise wood restrictions are on again in Sandy Springs, Georgia. Finally, the Log Driver’s Waltz finds new life in a children’s book, and Montreal’s ugly Christmas tree is replace by a… ticklish one. It’s important to laugh at yourself. And, that’s exactly what this year’s ‘Ugly Christmas Tree Village’ in Whoville Montreal will be doing this holiday season, literally. 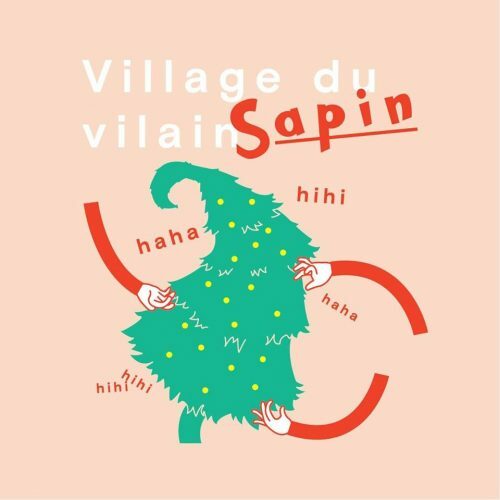 The 2nd edition of Le Village du Vilain Sapin will feature more than just an ugly, Charlie Brown-esque tree as this year’s evergreen will be ticklish. Yes. A ticklish Christmas tree. Motion detectors and built-in loudspeakers will be incorporated into this year’s Frankentree that will bellow out laughter when guests shake the bottom branches to tickle it. When guests stop tickling the tree, it will let out a great sigh of relief. Until about six months ago, B.C.’s forestry companies were riding a lumber bull market. Record-high lumber prices in the U.S. had muted softwood lumber duties, and B.C. forestry companies were netting record profits. But the party may be over. …The lack of availability of logs was the main driver for us taking the downtime,” said Teal Jones CFO Hanif Karmally. …“When you’ve got scarce fibre, which pushes prices for it up, and then you’re paying duties on top of that, and your market price has declined significantly, that puts companies into the bite,” said Susan Yurkovich, president and CEO of the Council of Forest Industries. …It’s not lower lumber prices in the U.S. so much as high log prices in B.C. “Timber prices in British Columbia are now among the highest in North America,” [West Fraser’s James] Gorman said. …David Elstone, executive director of the Truck Loggers Association, which represents logging companies, said sawmill curtailments will affect loggers, depending on how long they last. Conservative leader Andrew Scheer leveled plenty of blame against the federal Liberals for the woes B.C.’s forest industry is suffering as he paid a visit to Prince George on Monday. “One hundred per cent,” he said when asked if there is a connection between the curtailments and layoffs the Interior’s lumber producers have recently invoked and Trudeau government policies. Companies have pinned the cutbacks in production on a lack of fibre due to the mountain pine beetle, which ate through roughly half of B.C.’s harvestable timber supply. But Scheer said the federal government has played a role too and link the issue to Canadian-based producers ongoing quest to expand into the United States. The recent production cuts to the Conifex and West Fraser facilities across Northern BC and the Cariboo has raised some concern from Federal MP Todd Doherty. The Prince George-Cariboo representative says the industry is in a tough spot and there are many reasons why that is. …The forestry sector across Northern BC is facing some tough times and the sudden changes are creating some nervous moments. …He says it’s hard enough to get families to move up here in the first place, so more effort should be made in keeping them in our region. …Doherty is pointing the finger at Ottawa along with the federal government for not coming to the aid of the forestry sector. 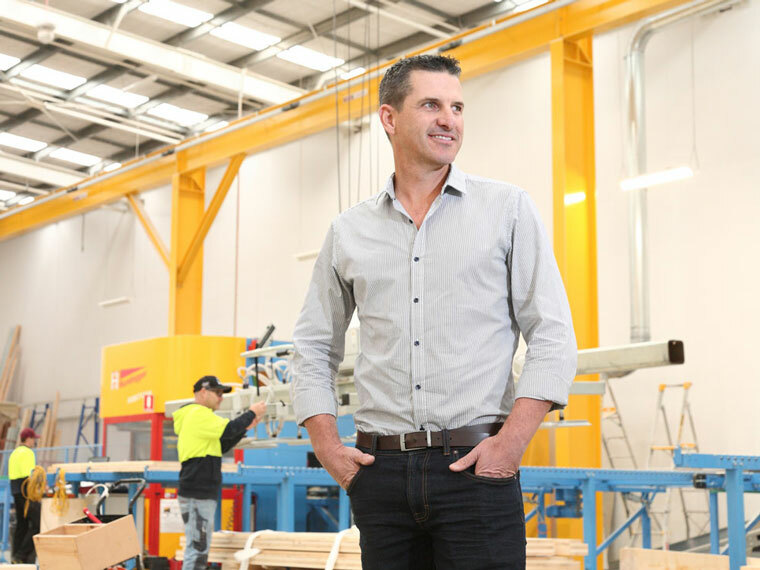 Prefabrication and lightweight timber builder Strongbuild was placed into voluntary administration at 9 am on Thursday morning, after Frasers Australia pulled out of a contract just two weeks from commencement leaving a massive $6 million gap in expected earnings. Strongbuild managing director Adam Strong told The Fifth Estate that a lending facility that had been arranged as working capital was abruptly cancelled. According to Mr Strong, Frasers gave no reason for reneging on the arrangement, other to cite matters of “convenience”, which triggered the appointment of voluntary administrators Brian Silvia and Andrew Cummins of BRI Ferriers. …It’s understood that already there have been a number of parties showing interest in purchasing the factory, including “a competitor” and two product manufacturers. Mr Silvia would not say whether Lendlease, which has a prefab timber facility at Eastern Street, was one of the parties. Until recently, buildings taller than five stories had to be constructed of steel or reinforced concrete, both of which require about 80 percent more energy to produce and represent about 200 percent more greenhouse gas emissions than cross-laminated timber (CLT), a new engineered wood product. Portland developer Ben Kaiser of the Kaiser Group recently completed the tallest American CLT mass timber building—an eight-story, 16-unit condominium/retail tower on an 8,470-square-foot (787 sq m) lot. …The building is called Carbon 12 for the most common carbon isotope the engineered wood sequesters, and for the building’s address at 12 NE Fremont Street in Portland. …Carbon 12 is designed, metaphorically, like a tree. Its roots are a forest of steel piles driven 45 feet (14 m) deep into the ground… The piles support a three-dimensional grid of glulam posts and beams onto which CLT panels measuring 37 by 11 feet (3 by 11 m) are lifted and locked into place. A six-month moratorium on multi-unit building applications, permits and construction is now in effect as city officials say they need time to review the city’s fire safety codes and ordinances. It’s unclear how the moratorium will affect Grubb Properties’ proposed 20-acre mixed-use development in Perimeter Center that includes 900 condominiums… The moratorium comes after House Bill 876, dubbed the “wood bill,” went into effect on July 1. The bill prohibits local governments from banning wood-framed buildings that otherwise meet state building and fire codes. The new law erased Dunwoody’s 2014 ordinance that required commercial, office, apartment or condominium buildings more than three stories tall to be framed with noncombustible materials, such as metal or concrete. …Councilmember Terry Nall, who spearheaded the 2014 ordinance to prohibit wood-framed buildings over three stories tall, said in a written statement the moratorium is not tied to the “wood bill” or any possible future development. 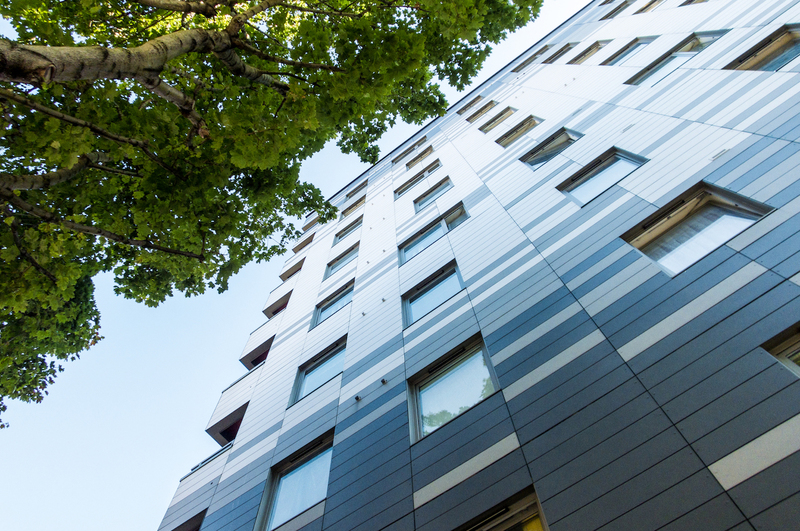 Proposed changes to the Building Regulations on external walls following the Grenfell Tower tragedy should not have a significant impact on the development of tall timber tower blocks, delegates to a London conference were told. Speaking at the Better Timber Buildings conference organised by the Timber Research and Development Association (TRADA), former fire engineer …Rupert Scott said that at worst engineers would have to adopt a different design approach if a total ban on combustible materials in external walls was adopted. …Recently the government announced that it would keep its promise via changes to the Building Regulations to be brought in in late Autumn. Negotiations with the timber industry on the exact wording of the proposed amendments continue. The timber industry’s main concern is the potential impact on the increasingly popular use of structural external walls fabricated from cross laminated timber (CLT) to construct tower blocks. There is a lot of grief in Australia’s construction industry this week following the demise of Strongbuild. It’s time for some frank realities to be outed from the shadows. The transformation of Australia’s construction industry into a viable alternative to the past must be about pre-competitive engagements across the key players. It is not about new toys to enshrine business as usual …and it’s not about the industry’s customers being modern construction’s guinea pigs. …Firstly, I want to acknowledge the leadership and integrity of the Strongbuild team. They have been bold, innovative, generous and ethical …It is only when these ends meet [customers and policy makers] that businesses such as Strongbuild will be able to offer an attractive investment platform that powers realising the vision that leaders like this bring to the market. The last week has been a sad indictment on an industry needing urgent change. If someone was to offer you a wood jumper, you might picture something stiff and uncomfortable. But this sweatshirt, which is made of 100% wood, will completely change your perception of the material. The Blue Sweater is made of beech wood fiber and is full biodegradable, but is remarkably soft to the touch – and definitely won’t give you splinters! …By ditching cotton in favour of wood, the Blue Sweater saves a staggering 3,300 litres of water. The beech wood finer is sourced from FSC certified forests in Germany and Austria, and is grown without fertilisers, pesticides or artificial irrigation. Even the threads in the sweatshirt are made of wood – a biodegradable Lyocell thread. Accoya glulam has been used for a new restaurant in London. The modified wood was used in the latest branch of The Ivy Collection in Canada Square Park, Canary Wharf. The new brasserie, designed by architect William Conway of William Matthews Associates, saw firm Wiehag as the timber construction partner. The Ivy in the Park is constructed from glulam and cross-laminated timber: internal members are made from spruce, whilst external beams and columns are glulam Accoya. The specification of Accoya wood further extended to the rainscreen trellis which covers the external walls. A total of 47 Accoya glulam beams and 42 glulam columns and 740m2 of rainscreen trellis were required. Wiehag machined it into the glulam beams and columns – alongside the trellis – and finished in the factory with a Remmers Aqua HSL 35 Grey Stain prior to installing on-site. Canadian folk legend Wade Hemsworth used to write songs and send them out to the world “like little boats.” “He didn’t know where they would go or how far they would go, but he really liked to see how they would come back — how other people interpreted them,” explained his great-nephew who shares the same name. Recently, one of his best-known works came ‘birling’ back as though riding on white water — the Log Driver’s Waltz. Written in the 50s, but popularized by a National Film Board video in 1979, the tune about a young woman’s delight in dancing with a light-footed log driver has been turned into a children’s book published by Simon & Schuster. …”Parents will be reading this book to their kids and so a new set of people will think of the song in a different way than their parents did.” Hemsworth knows that’s something that would have made his great-uncle very happy. OTTAWA and WASHINGTON — The Sustainable Forestry Initiative is pleased to announce the election of four new members to its board of directors: Lillian “Ebonie” Alexander, Executive Director, Black Family Land Trust; Kevin Edgson, President and CEO, EACOM Timber Corporation; Brent Keefer, President, Hancock Timber Resource Group; and Dan Lambe, President, Arbor Day Foundation. …“These four board members join us at a critical juncture given SFI’s current work to set our strategic direction for the next five years. I’m… confident that their diverse experience and leadership skills will bring fresh perspective to SFI’s future plans,” said Mark Rodgers, President and CEO, Habitat for Humanity Canada and Chair of the SFI Board of Directors. WASHINGTON and OTTAWA — Project Learning Tree’s (PLT) Energy in Ecosystems curriculum for grades 3-5 has been selected a Learning Magazine 2019 Teachers’ Choice Award (TCA) for the Classroom winner. Winners… were selected by a nationwide panel of teacher-judges… PLT is an initiative of the Sustainable Forestry Initiative. “The Energy in Ecosystems by Project Learning Tree is a fantastic online resource for students in grades 3-5,” said one teacher…. “…my favorite parts: it’s all online, it is super engaging, targets the NGSS standards which are how my school’s science standards are aligned, and it also integrates the Common Core standards for English and Math.” PLT’s Energy in Ecosystems e-unit https://www.plt.org/energy-ecosystems-unit consists of six activities for elementary students… Students focus on forests—one of the largest and most complex types of ecosystems—and come to understand ways that plants and animals are connected to each other. Icel Dobell’s aim is to preserve all 5,000 hectares of North Cowichan’s Municipal Forest Reserve. …“Many people don’t realize that the municipal forests are owned by the public. Most people think they were owned by private companies and that they have no say,” Dobell said. …Members of Where Do We Stand met with senior staff at the municipality this week to talk about the future of the forests and whether the less than $600,000 annual profit made from them was worth the active logging. …“We’re not protesting, we’re requesting a pause in logging in all of our municipal forests while there’s still time,” Dobell explained. The B.C. 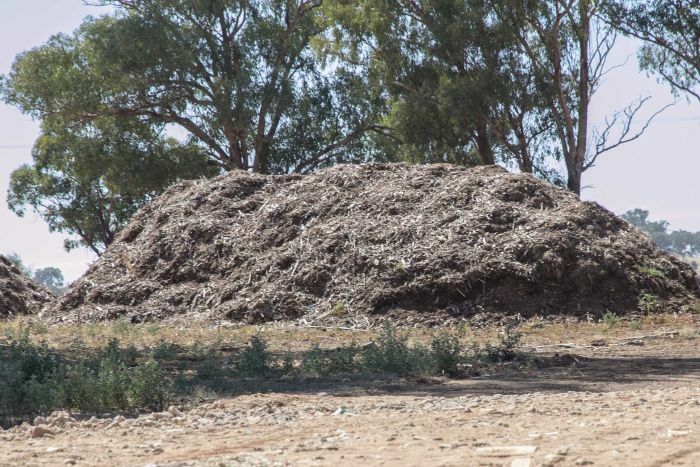 government’s overhaul of its environmental assessment regime is in danger of failing to accomplish what it promises – to restore public confidence in the way government manages natural resources, and to protect the environment. That conclusion comes from a group of independent academic environmental scientists who have torn apart the proposed new Environmental Assessment Act that was tabled earlier this month. 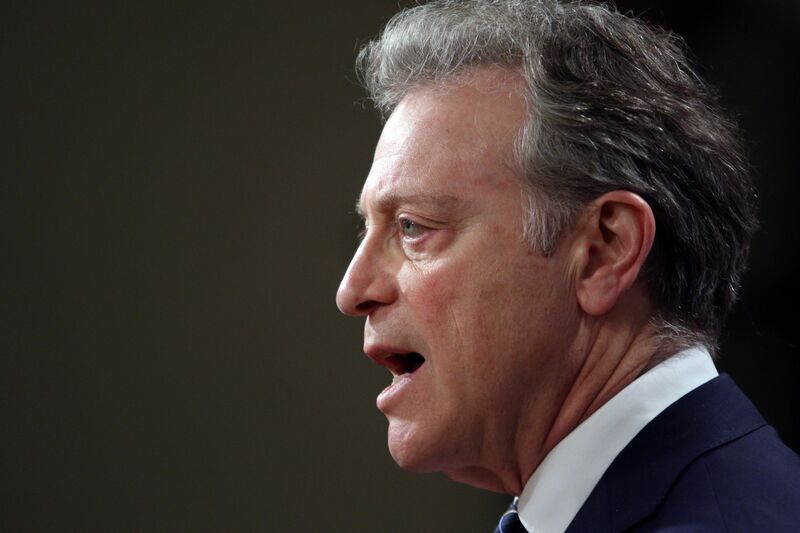 …Environment Minister George Heyman tabled the new act to replace a set of rules written by the B.C. Liberal government in 2002. …What the bill fails to do is fix fundamental flaws that exist in B.C.’s environmental-assessment process today, say the more than 180 university academics and science professionals. …The proposed B.C. Environmental Assessment Act will be called for debate on Tuesday. This October, students on a field trip with the Burns Bog Conservation Society saw an unusual type of frog and took a photo. Now, after having the photo analyzed by the biologists in the provincial government, the conservation society has found out it’s a red-legged frog — an endangered species that was believed to have disappeared from Delta by the late 1990s. “For me, this was an amazing example of how you can sometimes have something really rare and special right under your nose. You just have to be looking for it,” said Mark Robertson, education and research coordinator for the conservation society. Northern red-legged frogs range from the California to Haida Gwaii, making their home in cool, forested regions. We have all heard about the terrible forest fires in the West in the past few years, and especially the “Camp” fire in November 2018. Let’s look at forest fires from a forestry point of view. But before beginning, we do want to voice our cares and concerns for those who lost family and friends and to those that lost homes, belongings and a lifetime of irreplaceable items in the Camp Fire and all wildfires. A forest fire needs a source of ignition. needs fuel and needs oxygen. The ignition source is often cloud-to-ground lightning strikes, but human activities do causes many fires. The fuel source is wood, leaves, needles and understory grow including brush and grass. The speed of burning and the speed of expansion of a forest fire into new fuels depends to a large extent on the presence of oxygen. In turn, this means the wind speed is a huge factor in the life of a fire, as the wind brings in oxygen, as well as carries burning embers into new fuel sources. California has been burning more than ever since the turn of the century. Thirteen of the state’s twenty hottest fires have occurred since 2000 as increasing temperatures push up the frequency and severity of wildfires. …Adding up the acreage affected by the flames from 2013 through this time in 2018, we get an overwhelming figure somewhere close to 5.4 million acres. So considering California is roughly 100 million acres in size, that means 5.4 per cent of the state’s surface has seen some form of fire over the past 5 years. …A recent U.S. Government report prepared by leading climate and forest experts explores the interactions between climate change and forests. The main concluding remarks emphasize how climate change is increasing the vulnerability of many U.S. forests through fire, insect infestations, drought and disease outbreaks. MEDFORD, Oregon — The U.S. Forest Service plans to propose measures for southern Oregon aimed at reducing the size and intensity of wildfires and creating healthier forests better able to withstand the hotter, drier conditions brought by climate change. The Rogue River-Siskiyou National Forest plan would include a mix of commercial logging and brush removal on 22,000 acres of Forest Service and Bureau of Land Management lands, the Mail Tribune reported Sunday. It would include nearly 5,000 acres of prescribed fire and using fire to maintain up to 13,000 acres of previously burned areas. …”The objective is to make the watershed more resilient to disturbances like fire, insects and climate change,” said Don Boucher, the forest’s district ecologist and main architect of the plan. The environmental assessment will be up for public comment for a month. Timber sales on the Chequamegon-Nicolet National Forest have increased for the sixth year in a row. The forest sold 128.7 million board feet of timber this past fiscal year. Forest Supervisor Paul Strong said that’s the most timber sold on the Chequamegon-Nicolet National Forest since the early 1990s. 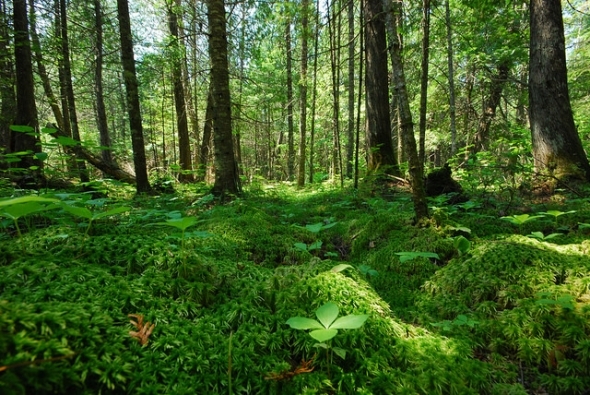 The forest has been able to sell more stands of timber for harvest through an agreement with the Wisconsin Department of Natural Resources under the Good Neighbor Authority, which allows the state to conduct management of national forest land. “They’ve been a steady partner delivering their share of this program for the last three years,” Strong said. The state sold 30.7 million board feet under the agreement, said Jeffrey Olsen, national forest specialist in the Good Neighbor Authority program with the DNR. Major parties want ‘sustainable logging’ in native forests, but experts warn of ‘endgame’ for endangered species and drinking water. To understand the campaign to save Victoria’s old growth forests, ecologist David Lindenmayer says, you just need to turn on a tap in Melbourne. Forget about the critically endangered Leadbeater’s possum… Forget, too, about the carbon value of the mountain ash forests of the Victorian central highlands, which are among the most carbon-dense forests in the world. “…if you’re interested in drinking water, then you actually need to have intact forests, intact catchments to produce that water,” Lindenmayer says. These forests are at the heart of one of the key environmental issues that voters in Victoria will have to decide when they head to the polls on Saturday. 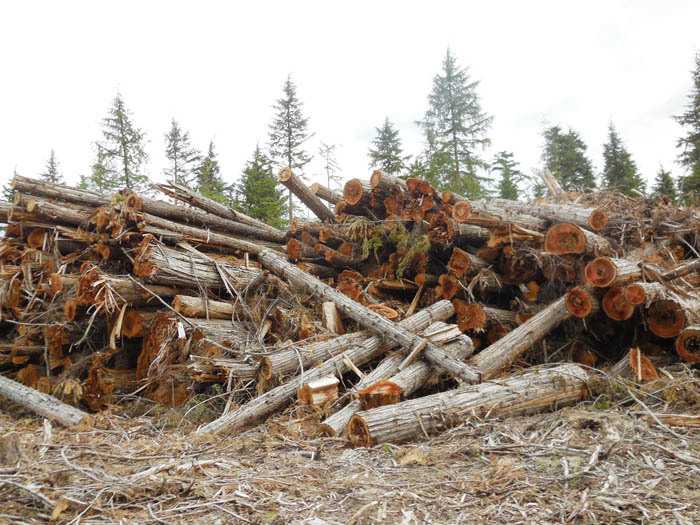 Massive piles of leftover wood in the McBride Community Forest will be turned into heat and electricity in Europe and Asia, according to Don Steele, chief executive officer of Pacific Bioenergy. That’s good news for the community forest, as it hasn’t been able to burn its slash piles in over three years due to air quality constraints. Vancouver-based Pacific Bioenergy has now secured funding from the Forest Enhancement Society of British Columbia to grind, ship and sell the waste wood as a part of an experiment to determine how they can incorporate cedar into their fuel. The company has been turning waste wood into pellets for 25 years. It has a pellet plant in Prince George, Chetwynd and Fort St. John and and a wood waste partnership in Quesnel. The pellets are largely shipped overseas. Climate change is expected to increase drought and wildfire vulnerability in forests across the West. But new research out of Oregon State University shows that some places will fare better than others. The Douglas fir forests of western Oregon and Washington are among the least susceptible to drought and fire over the next thirty years. …Other forests types are in for a much more volatile future. This includes the forests east of Warm Springs, in north-central Oregon, which are expected to suffer drought. Wildfire vulnerability is high in the Klamath Siskiyou Mountains of southwest Oregon, as well as across the border from Hood River in Washington. Fire vulnerability is elevated in California’s Sierra Nevada, too. …Buotte says the research does not predict fire or drought severity — just whether or not a specific forest in a specific location will experience drought or fire. New research suggests New Hampshire forests could help store more climate-warming carbon dioxide while growing higher-value trees. The study, from Clark University and the Nature Conservancy, says better land management – especially reforestation – could store up to a fifth of America’s climate-warming carbon emissions. The U.S. emitted about 5.8 billion tons of carbon in 2016. That carbon builds up in the atmosphere and leads to slow but steady warming that drives sea level rise, more extreme weather and other harmful effects of climate change. But trees can also store that carbon, preventing it from concentrating in the atmosphere. 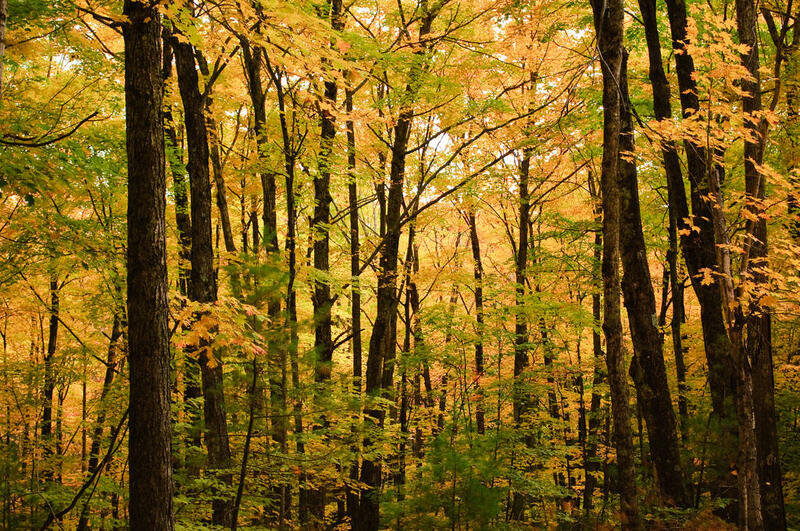 UNH forestry professor John Gunn says for New Hampshire’s forests to contribute more, landowners will need incentives to grow longer-lived, higher-quality trees. FLORIEN, LA – A Hornbeck man died early Sunday morning in a job-related accident at Boise Cascade in Florien. The victim, 24-year-old Tory L. Rainer, was pronounced dead in the scene despite life-saving efforts, Deputy Coroner Ron Rivers said. An autopsy will be performed to determine the cause of death. Rivers said the accident happened shortly after Rainer clocked in at 3 a.m. He headed to his assigned work area, which was down for maintenance, and began helping co-workers with changing out a lathe blade. That’s when the lathe swung down and pinned Rainer. Employees hoisted the lathe off Rainer and began CPR. They continued until paramedics arrived. Death was called on the scene, Rivers said. BOISE, Idaho – Boise Cascade is working with local authorities to investigate a fatal accident that occurred at the company’s plywood manufacturing operation in Florien, Louisiana. At approximately 3:20 a.m. on November 18th, an employee was performing maintenance repair on a piece of equipment. The details surrounding how the accident occurred is under investigation. …”We are saddened to report this tragic accident,” said Larry Hataway, Southern Region Human Resources Manager. “We offer our deepest condolences to his loved ones. Counseling and support resources will be made available to his coworkers.” The Florien location employs approximately 420 people. Occupational Safety and Health Administration has been notified of the incident. 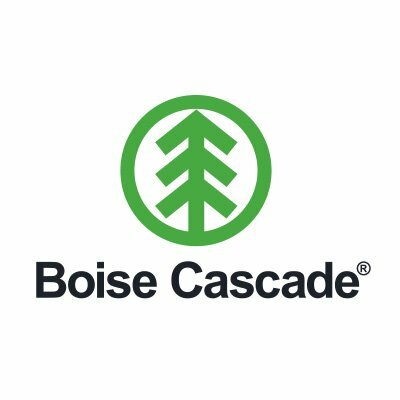 Boise Cascade has suspended operations at the site until further notice. The province is taking a new approach to solve an ongoing traffic problem at one of B.C.’s most popular old groves of trees, which also happens to have a major highway running through it. 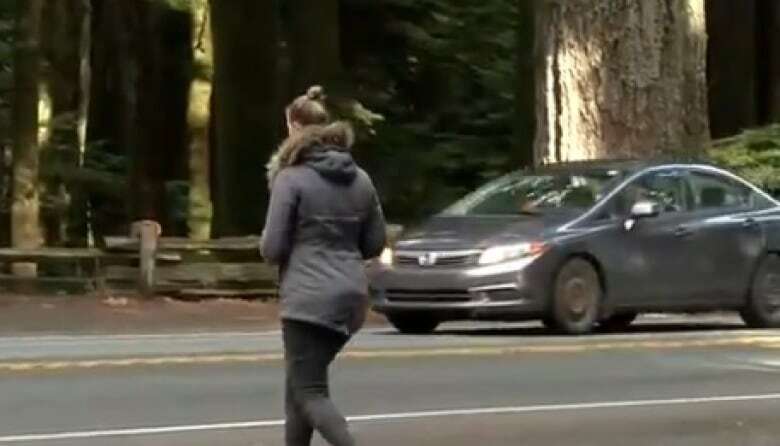 Starting on Wednesday, the province will begin a series of open houses and collect online feedback about how to solve traffic jams and dangerous pedestrian crossings on Highway 4 at Cathedral Grove in MacMillan Provincial Park outside Port Alberni on Vancouver Island. It’s been been more than 15 years since the province last attempted to fix traffic problems at Cathedral Grove. The previous attempt didn’t solve the safety issues at the popular site, which brings tourists from around the globe. About 500,000 people visit the site each year. …Safety is also still a problem as people often cross the two-lane highway to access trails that showcase the trees, some which are nine metres in diameter and 800 years old.